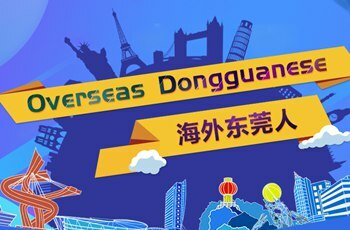 The Spring Festival holiday in 2019 saw stable growth in domestic and overseas consumption, according to statistics released by the Ministry of Commerce (MOFCOM) Sunday. 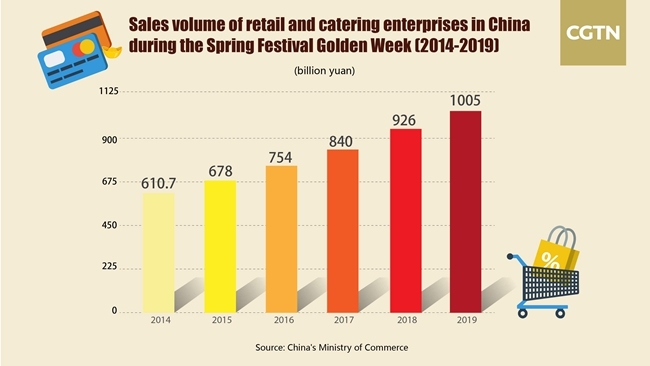 Retail and catering companies in China made total sales of over 1 trillion yuan (about 148.37 billion U.S. dollars) during the 2019 Spring Festival holiday, marking an 8.5 percent year-on-year growth, according to MOFCOM. Sales for catering companies in Beijing grew 10 percent year on year. Many catering companies and e-commerce platforms launched Spring Festival family reunion dinner delivery services or dispatched cooks to prepare reunion dinners in customers' homes. A food delivery platform saw a 107 percent increase in orders for reunion dinner, according to the official data. Consumers favor shopping centers that integrate shopping, catering, entertainment and other functions. Sales of seven shopping centers and outlets monitored in Shanghai increased by more than 20 percent year-on-year. Chinese e-commerce giant JD.com reported robust sales from February 3 to 8, with sales increasing 42.7 percent year-on-year. 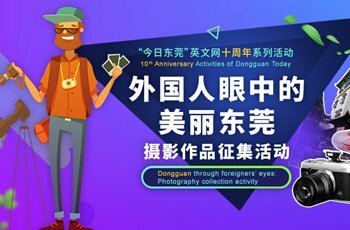 Smartphones, computers and home appliances were the top three items on JD.com in terms of sales value.